The Vredestein Quatrac 3, if a certain beverage company made tyres, then this is probably the best all season tyre out there. OK we know this is not a true winter tyre, however it deserves a page! The Quatrac 3 is an all-season tyre, it can be used year round and is also mountain/snowflake marked for those countries where winter tyres are mandatory. Quite simply they are a half way house between summer and winter, although they are probably closer to winter than summer. We are finding that interest in all-seasons is growing rapidly in the UK as motorists want winter safety, but without the effort and cost of changing tyres each season. Here’s our thoughts and the basics with advice from our partner, Tyremen. The Quatrac 3 is included on this site as quite often when the winter tyre tests come out they throw a couple of all-season tyres into the mix to see how they perform. If you did want to go all season then this would definitely be the product to go for. Vredestein are the best in the business in all-season, they have been at it the longest, have the best range and are consistently independently tested to be the best. Here is an example, in 2011 Auto Bild did a specific all-season tyre test which the Quatrac 3 topped and was described as ‘Multi talented and balanced in all areas. Precise steering and excellent handling characteristics on wet roads. High safety reserves in aquaplanining, short braking distances on snow’. Quickest lap time in the snow and this is an all-season tyre! This tyre also placed better than the Dunlop WinterSport 4D. Essentially the Quatrac 3 is a great all-round tyre and I believe is really suited to UK conditions. Certainly in East Yorkshire we get short summers, cold winters and lots of rain, the Vredestein will cope with all of this with ease. In Germany (where legal tyre use is the law) all-season tyres are out selling winter tyres at the moment. Our tyre market has been a few steps behind them for a while now, but I’m convinced that all-season use will continue to increase. In 2012 Vredestein added the Quatrac 3 SUV which has expanded the range even further and covers things like base models BMW X5’s & VW Tiguan. In a retail environment we have supplied the Quatrac 3 for a few years now and customer feedback is superb. Certainly we are getting plenty of repeat custom which shows more than anything that drivers are happy with them. We hear comments like, ‘fantastic grip in the snow’, ‘surprisingly quiet in the summer’ and ‘superb rain tyres’ all the time. Don’t get me wrong they are probably not for everyone, if you live up in the Highlands and get vast quantities of snow then you would probably go full winter to give yourself the best chance of keeping moving during the winter. But as a true all rounder the Quatrac is well worth a try! Our review comes from experience, test results and trade info, some of the best reviews come from you. Have you used the Quatrac 3? Please share your thoughts below. The Wintrac 4 Xtreme is the next generation in the Wintrac Xtreme range, and is Vredestein’s high performance SUV/4×4 winter tyre – and it’s superb! Its products like this that make this website worthwhile! I think it’s more than fair to say that the Wintrac 4 Xtreme is the best SUV/4×4 winter tyre on the market. However many people in the know are aware of this already, especially drivers on the Continent where Vredestein are one of the most respected winter tyre manufacturers. Because of this, demand is always really high for these tyres. Vredestein are only a relatively small company based in Holland so whatever they make always sells out. So as a company they don’t tend to put these forward for testing or reviews because they really don’t need to promote them further – not a bad position to be in! Therefore you are not going to find a great deal of test data to look at to help you make your decision and we hope our site will give you all the info you need! Excellent all round winter performance – whether you are driving on dry, cold British motorways or twisty, snow covered roads in the Alps. Great traction in snow, slush and ice, with a fairly aggressive directional pattern which self clears really well. Available from 16″ up to 20″ in diameter, click for the full size range. Great value – this premium winter tyre also happens to be one of the cheapest tyres on the market, when compared to products like the Pirelli Scorpion Ice & Snow or Continental 4×4 winter contact the Vredestein are a fraction of the cost. Trust me spending more on the well known branded tyre does not get you a better tyre! Incredible longevity – many people expect winter tyres to wear out quickly, this is certainly NOT the case with the wintrac 4. We have a local customer that has used these for many years on a VW Touareg and he gets around 40,000 miles out of a set. This type of mileage is absolutely typical for many of the customers that we speak to. Once they have fitted these to their vehicles, it is very rare they go back to another brand. Year round use suitability – many, many of our customers fit these in the winter months and never take them off, unless they have dropped to a smaller wheel for winter. This product works great for UK year round use, all the negative aspects that you would expect are simply not the case with this tyre. The wintrac 4 xtreme offers very little road noise and has low rolling resistance so is good on fuel. In the summer months this is still the case so long motorway drives can be done in comfort. The big boss man at our retail site switched from Bridgestone summer to this tyre and found them to be quieter, again they lasted great too. Light 4×4 use – because they have the semi-aggressive directional pattern this tyre also has light off road uses. It’s not going to offer all out all terrain traction for deep mud but is totally suited for country tracks and fields. Any downside? We have sold lots of these and feedback is nearly always incredibly positive. I have heard once or twice that users haven’t been overly impressed with wet braking performance, but such comments are rare. All in all this is a great winter tyre, offers incredible snow traction, is great value and lasts a long, long time – happy days! Looking to buy? Tyremen offer the UK’s cheapest prices, great stock levels and free delivery or nationwide fitting on the Wintrac 4 Xtreme. Give the team a call on 08456 807808 if you would like any more information. Over to you, what are your thoughts of this tyre? Suitable for: a large range of vehicles, including small car, light van, executive saloons and some SUV. So it’s not Uniroyal that is new to the UK, just their winter tyres! Many of you will be familiar with Uniroyal ‘the rain tyre’, they make the cracking Rainsport 2 which has been around years but is still one of the best wet weather tyres out there. But I digress, Uniroyal are a mid-range product that I’ve sold in 2012/13 to drivers that wanted a quality winter product but without having to spend premium money. What a lot of people don’t know is that Uniroyal are owned and produced by Continental. It’s fair to say that Continental are making about the best winter tyres on the market at the moment in the TS850 & TS830 P. So with Uniroyal winter tyres you get a product that is coming out of the same factory as the Continental. The materials, technology and attention to detail is the same ilk as the premium product and makes for a really interesting concept. We call this a 2nd line tyre, sometimes they work and sometimes they don’t, what was interesting with the Uniroyal winter was that in addition to the assurance of being part of the market leaders group their product was also being really well received in its own right. Just looking at tyre test reports when the Continental was coming out top the Uniroyal was getting 4th or 5th spot which is a great achievement. So the tyre is made by the best, gets great test reports, so what about the price? Well the saving to be made in comparison to the Continental is quite dramatic, you should expect to pay about 25% less for the Uniroyal. On a common tyre size such as 205/55R16 this equates to about £100. Since the tyre is new to the UK, feedback is still fairly limited, I can’t really comment on how long they will last but you can tell from the aggressive pattern that they will offer great snow performance. Road noise and rolling resistance might not be quite as low as some of it’s competitors, but I think it’s still a top tyre that I’d happily use during the winter months. Looking to buy? Tyremen stock Uniroyal winter tyres at great prices, available for free delivery or nationwide fitting. Over to you, have you driven on the MS Plus 6 or Plus 66? Leave your comments or a review below please. Another winter tyre with a strange name, but what’s it like? Lets start with the basics. Sizes available: 15″, 16″, 17″ & 18″, click here to see a full range. So why put these on your car, surely you only put winter tyres on big 4X4’s? No, everyone can benefit from winter tyres, and Hankook have realised that and produced the W310 in lots of sizes. Hankook are one of few suppliers that makes the split 18″ sizes 225/40R18 & 255/35R18, appealing yet further to more vehicles. Is this the first time you’ve heard of Hankook? Or you may well have seen them supporting football on TV, well, they are a great manufacturer that now make tyres that are fitted on new vehicles in the factory for BMW, Ford, Audi and many more. They class themselves as a premium manufacturer but we use them as a mid-range option as they tend to be cheaper than the more familiar brands out there. 3. Price – as we said, they are pitched a bit cheaper than the well known brands, but winter performance is still very good. Feedback on these is really good, we have a number of repeat customers up in the Highlands who swear by them, and if they perform well in the Highlands, then we may just have a very good tyre on our hands! We also spoke with a taxi driver who used them on a Mondeo in Lincolnshire and got in excess of 20,000 miles from a set – more than his summer tyres! In terms of tyre tests there isn’t that much data out there, on the odd occasion that Hankook have put them forward they achieved mid-table results. The W310 is described as displaying great handling on snow and short braking distances on dry roads. So let’s be honest, it’s not a premium tyre, and that’s reflected in the price, but it is good, performs well in the snow and because of it’s good dry performance and standard pattern is well suited to UK winter conditions. Add to this that it will last well, is nice and quiet and it’s reasonably priced, then the W310 i-cept evo seems like a good bet. Looking to buy? Tyremen are major Hankook winter stockists and offer great prices on the W310 i-cept evo. Over to you for your comments if you have used this tyre. Vredestein were one of the first tyre manufacturers to start producing winter tyres, they are well known in the rest of Europe and for those in the know here are regarded as a well respected manufacturer. This Snowtrac 3 was launched in 2008 and has remain unchanged ever since. Upon release this tyre received a great deal of praise from the tyre press, motoring magazines and independent tyre tests. At this time it was leaps and bounds ahead of the competition and claimed a string of tyre test winning performances over a 3 year reign at the top. These test winning performances were over a range of sizes but for some reason has consistently rated especially well in smaller sizes such as 185/60R14. Even as recent as 2012 this tyre received a which best buy in this size and must be seriously considered if you need a small winter tyre. The Snowtrac 3 has a directional pattern with good spacing between the tread blocks for fantastic snow clearing properties and this tyre is often praised for its pure snow performance. This pattern does tend to increase the rolling resistance so the Snowtrac 3 doesn’t tend to offer the best fuel efficiency. It’s also praised for excellent dry performance, although more recently released tyres tend to offer better wet grip. There is no doubting that the Snowtrac 3 is a great winter tyre, upon it’s release it was the best, these days it’s more truthfully a mid table performer but it’s safe, great in the snow and excellent value. Customer feedback is consistently good for this tyre, it’s very popular in the Scottish Highlands and with those driving to the Alps. The only real negative that I’ve heard is that they can wear quite quickly when used in the summer months. Vredestein do make fantastic winter tyres that you can leave on the vehicle all year, however, as this is one of the first, this isn’t one of them. This is purely a winter tyre, have them fitted with another set of wheels, alloys keep the look of your car, but steels are an option in smaller sizes. We still love this tyre, it’s one that we first took notice of and you can kit your car out, with just the tyres, from as little as £200 plus fitting, we think is great value for a great tyre and keeps you safe and on budget! Used this tyre? Let us know, join in the blog and leave your views. 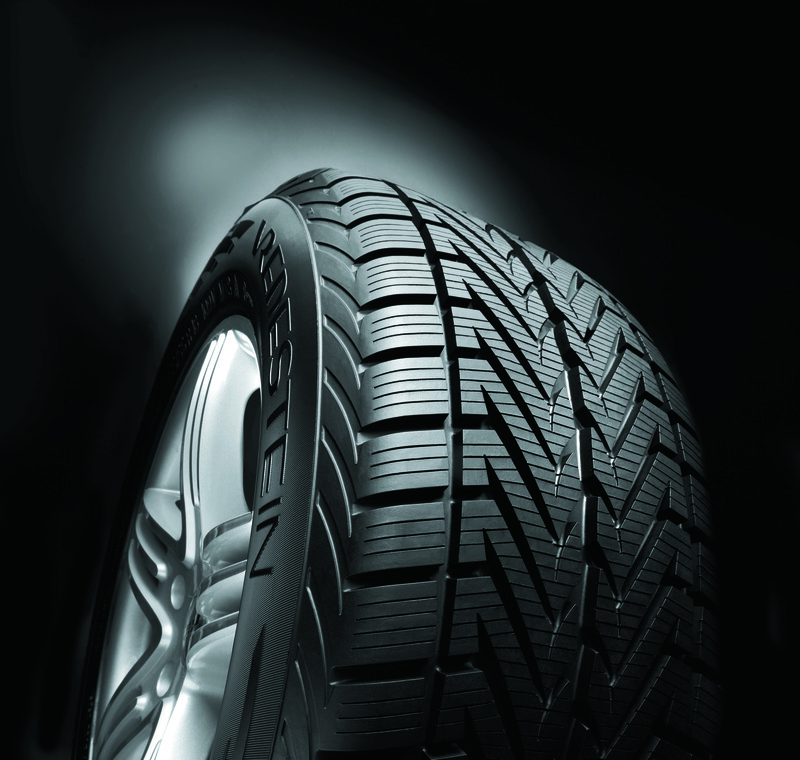 Since the launch of the TS850, these seem to be unstoppable winning the Auto Express best winter tyre buy 2014 & 2015. Without doubt this was the most in demand winter tyre of the 2012/13 winter season, and that hasn’t relented in following years. With a string of fantastic tyre test reports, this tyre hasn’t failed to please those who have fitted it to their vehicles. This tyre replaced the TS830 which was only released a year previous and was a multi test winner upon it’s release. It’s unusual for tyre companies to switch a winning product so quickly but they have managed this with the launch of the TS850 which has been improved further. So, what are the basic’s of this tyre? Suitable for – small cars, family cars, hot hatches & a range of estate cars & executive saloons if part of wheel & tyre package. Sometimes for winter tyres on vehicles with quite a large tread placement, it’s best to drop a wheel size. A directional tread pattern which is ideal for clearing snow, slush and water from the road surface keeping the tyre in contact with the tarmac more effectively reducing the risk of aquaplaning. Tyre tests usually need to be taken with a pinch of salt as results can vary widely. But this tyre won them all this year in size 205/55R16, We’ve never seen anything like it the TS850 claimed 1st place in the following tests; Auto Express 2012, Evo magazine 2012, Auto Bild, Auto Zeitung & European winter tyre test 2012. When the results are this consistent then you know that the product is good. The results praise this tyre in all winter conditions, wet, dry & snowy so it’s fair to say that whatever the application this tyre is a good option. With the tyre being so new we haven’t had that much customer feedback yet so I look forward to your comments. Again we haven’t heard back from people that have worn these out yet so I don’t know for sure how long they will last. Continental as a company don’t tend to value longevity so I’d be surprised if they lasted a long time, but in terms of winter performance you wont go far wrong. Well, now we have had some feedback from customers, and we have to say, its very positive. Mileage is good, fuel economy proving competitive with other brands and great performance in winter conditions. Looking to buy? Tyremen have large stocks, cheap prices & free delivery or nationwide fitting on the TS850. Here at Winter Tyre Reviews we have extensive experience in winter tyre and wheel sales and service. Our experience comes from over 40 years as an established tyre fitting company, www.tyremen.co.uk we also write for Which Tyres, www.whichtyres.com offering advice on any wheel and tyre related topics. Winter Tyres, The Big Question, Yes or No? Land Rover Freelander, the best of the small SUV’s?